Versatility is very important when it comes to your logo. Your logo will be applied to many different mediums and it should be easy to read no matter what size it is. I often see many logo designers miss this important step when they design a logo for a company. Logo design requires care and attention. This icon is the front face of the business you are creating it for. It needs to create an immediate connection and tell their story within seconds. My process of designing a logo. 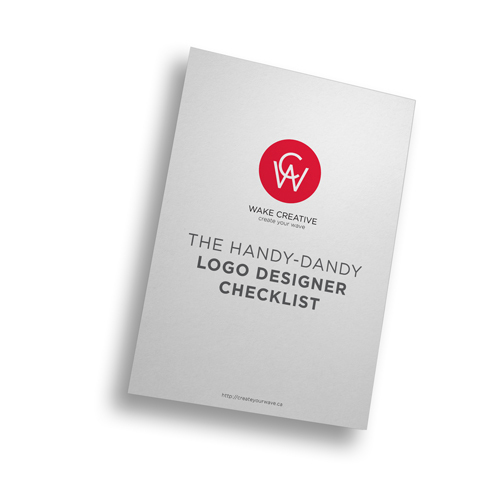 I always keep a mental checklist when designing a logo to make sure what I am creating will be versatile: Will it embroid well? Can I silk screen it? Will it die cut well? Can you make it into a decal easily? Does it have negative space characteristics that can be exploited to create new images to compliment the logo? When I create a logo for a company I always start in black and white. I never apply colour in the thumbnail stage. I will spit out pages of ideas using simple shapes to create the story of the company I am working with. Once I have 2-3 strong ideas, I then head into Adobe Illustrator to clean up the designs. I’m still working in black and white only. Once I have the logo finalised in black and white, I check scale. How does it look at the size of a dime and when it’s blown up to 11x17? Is it still easy to read? Does the message still come across? At this point, I will also make sure that any spacing, line size or elements are increased or decreased to make sure there is strong readability. Next I add type. Finding the right type is as important as the logo. Both elements need to work together and fit. I will play with kerning, weight, placement and sizing of the text. Then I go back to scaling. I need to make sure that readability is there. After I have concepts I am happy with, I will then add colour. Again, colour is also an important part of the whole logo and shouldn’t be treated haphazardly. There is psychological data behind colour and the mood it creates, so be careful. I try to stay away from gradients because they do not render well in embroidery applications and will not work in silk screening applications. If I have to use gradients I will create a solid colour version that compliments the gradient version. I will also see how colour works with the type. At this point, I have to be careful that the right focal point of the logo is determined. Do I want the eye to look at the name first, icon second? Or vice versa? Colour will come into play at this stage as well. So will the sizing of type versus logo. Each element needs to be dealt with care. At this point, I have to be careful that the right focal point of the logo is determined. Do I want the eye to look at the name first, icon second? Or vice versa? Colour will come into play at this stage as well. So will the sizing of type versus logo. Each element needs to be dealt with care. Then, I scale it to see how it looks at multiple sizes. Once I am happy with all elements I will place the logo into real world settings – what it looks like on a mug, t-shirt, vehicle, business card, etc. I use a library of template files I’ve collected. This gives my client and myself better perspective of the final product. Next is to present the work and get their feedback. You should take your logo seriously. If you are a business on the cutting edge of your industry, your logo should reflect that. If you are looking to attract a specific demographic, your logo should be suited for that type of audience. Take your time, invest some money and hire the right person to tackle your problem. You should only have to create ONE logo for your business. It should stand the test of time and grow with your company. The last thing you want to do is change your identity because you can’t implement it in certain mediums.